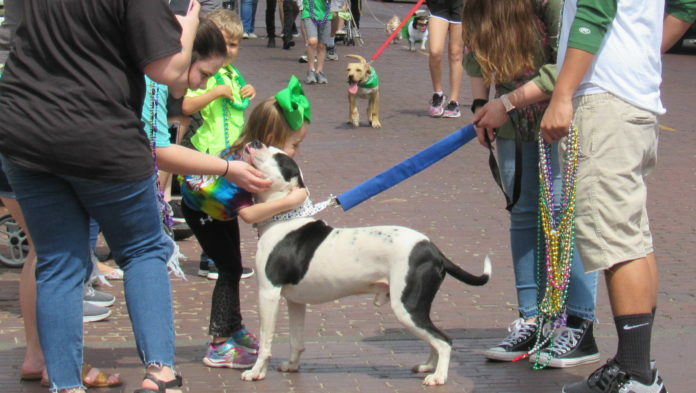 Prepare to see your favorite waggin’ tails at the Natchitoches Humane Society’s Krewe of Wag-uns Children and Pet Parade Saturday, March 2. Registration begins at 2 p.m. at BOM on Washington Street and line-up is at 2:45 p.m. The parade begins at 3 p.m., starting at BOM, south on Front Street to Touline Street, then left to the downtown riverbank stage. It is $10 to enter and register your pet to be eligible for the celebrity status of King Rex Rufus and Queen Mutt A Gras. All proceeds will go benefit Natchitoches Parish animals through the NHS. Awards will be given for Best Float, Best Dressed Pet and Best Dressed Child. Golf carts are permissible if driven by an adult, children may ride scooters, bicycles and wagons, no ATVs are permitted and bring your own beads to throw during the parade. For more information, contact the NHS at natchitocheshumane@yahoo.com or contact the Natchitoches Main Street at 352-2746.